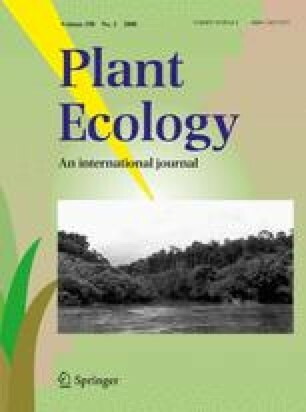 We surveyed the prevalence and amount of leaf damage related to herbivory and pathogens on 12 pairs of exotic (invasive and noninvasive) and ecologically similar native plant species in tallgrass prairie to examine whether patterns of damage match predictions from the enemy release hypothesis. We also assessed whether natural enemy impacts differed in response to key environmental factors in tallgrass prairie by surveying the prevalence of rust on the dominant C4 grass, Andropogon gerardii, and its congeneric invasive exotic C4 grass, A. bladhii, in response to fire and nitrogen fertilization treatments. Overall, we found that the native species sustain 56.4% more overall leaf damage and 83.6% more herbivore-related leaf damage when compared to the exotic species. Moreover, we found that the invasive exotic species sustained less damage from enemies relative to their corresponding native species than the noninvasive exotic species. Finally, we found that burning and nitrogen fertilization both significantly increased the prevalence of rust fungi in the native grass, while rust fungi rarely occurred on the exotic grass. These results indicate that reduced damage from enemies may in part explain the successful naturalization of exotic species and the spread of invasive exotic species in tallgrass prairie. We thank J. O’Mara (Kansas State University) for identification of pathogen species and B. Roy for helpful discussions. We also thank the two anonymous reviewers for their valuable suggestions. This research was supported by the Yale University EEB Graduate Student Discretionary Fund, the NSF Long Term Ecological Research Program at the Konza Prairie Biological Station, the US NSF under grant DEB-0130692 (K. Garrett), and support by the Kansas State Experiment Station (08-132-J).